One song. One relationship. One timeless children’s tale. 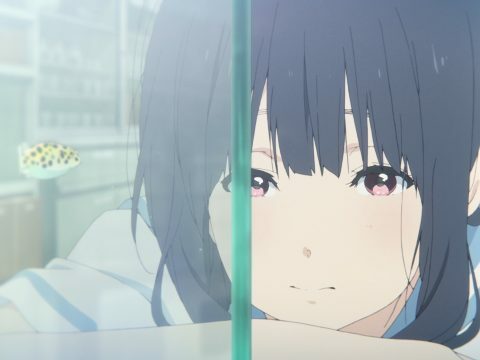 That’s all that’s at the heart of Liz and the Blue Bird, a beautiful capsule capturing a brief moment in time with the type of gentle subtlety at which Kyoto Animation and director Naoko Yamada (A Silent Voice) excel. Whether you’re a fan of the Sound! Euphonium franchise or completely unfamiliar with it, there’s something here that most animation fans will be able to appreciate on some level. Hidden in the haystack of the general happenings that surround the Kitauji high school concert band club and all those within it is this one particularly sharp needle. Mizore Yoroizuka is a shy and quiet oboe player in the group, and she shares a unique relationship with flute player Nozomi Kasaki. They were friends in middle school, and they’ve both experienced ups and downs since, from Nozomi’s initial departure from the club to their current task: mastering a tricky oboe and flute duet that serves as the highlight of the club’s current piece. The piece in question is “Liz and the Blue Bird,” which brings the German fairy tale of the same name to musical life. To break it down to its core without recapping the entire premise of the children’s story, it’s a brightly illustrated book that tells the tale of two friends who must eventually say farewell to one another. As the band prepares for nationals and Mizore and Nozomi struggle to determine the next steps in life after graduation, their own narrative begins to parallel that of the fairy tale. 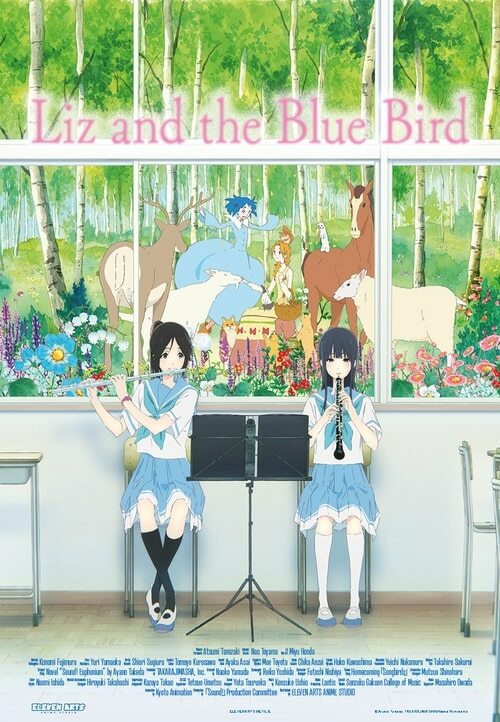 As a result, Liz and the Blue Bird occasionally jumps back and forth between what’s going on in the real world and animated depictions of what happened in the book. The contrast between life at high school and the storybook pastels of “Liz and the Blue Bird” couldn’t be more apparent. 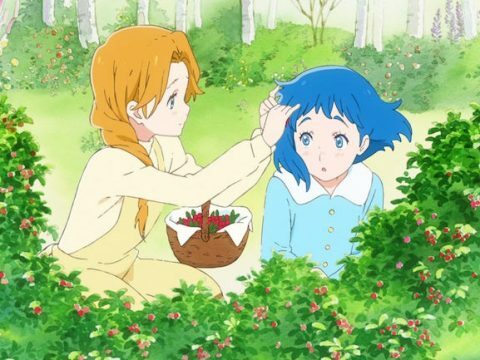 The former is brought to life through KyoAni’s meticulous attention to detail, right down to a soft, true-to-life color palette that pushes the spotlight toward the characters and the emotions they convey through their words and actions. Placed side by side, the bright storybook world pops off the screen and drives its point home through a more free and, at times, abstract lens. Naoko Yamada excels at conveying a lot of information through subtle motions. Even in scenes during which very little is said, an interrupted attempt to speak or the slightest of hand gestures says volumes about Mizore and Nozomi’s characters and where they are in life. As most anyone who has been on the precipice of change can understand, the dread of the coming days and months full of uncertainty is palpable here. The apparent rift—regardless of how aware the two are of it in the beginning—affects their ability to sync up during their duet. Finding a way to play more lyrically and perform in concert once again while embracing a murky future together is going to take some serious unpacking. 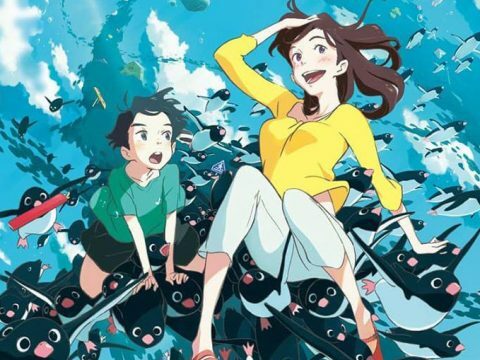 Liz and the Blue Bird is a touching story of learning to let go, even if the thing you’re letting go of is something or someone you truly love. Yamada’s direction pairs with Reiko Yoshida’s writing to create a memorable piece of animation that isn’t afraid to leave plenty of open space between the notes. It’s a feature that breathes steadily, and while it may be an extra special treat for fans of the Sound! Euphonium series, knowledge of the anime and novels that preceded it is not a prerequisite for this class. 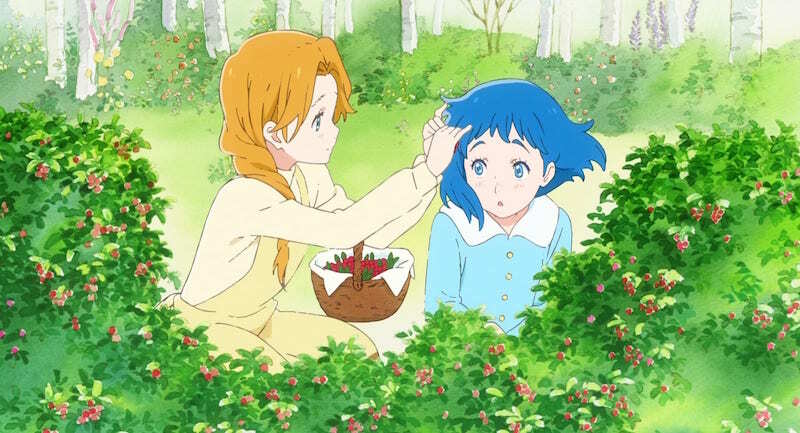 There’s still time to see Liz and the Blue Bird in theaters, and you should definitely do so if it’s playing near you. Liz and the Blue Bird is currently screening in a few select theaters throughout the U.S., so check the official website for tickets and more information.